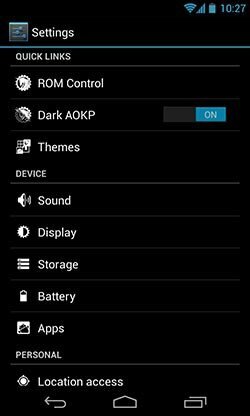 AOKP or Android Open Kang Project is a very famous and powerful Android Custom ROM coded, built and maintained by the worth members of Team Kang. 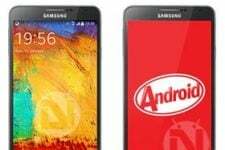 The series began in November 2011 with the release of Android 4.0 (Ice Cream Sandwich) and it stands high today with release of its latest Milestone 2 based on Jelly Bean 4.2.2. With the release of M2, AOKP now supports most of the Android smartphones and tablets, which now sums up to the list 44 devices. 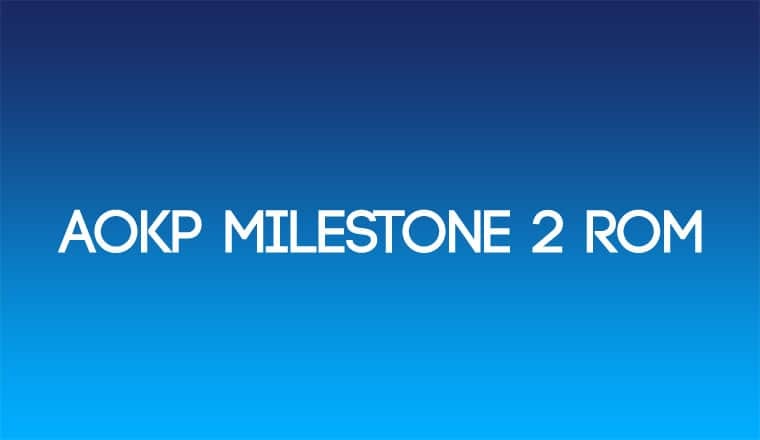 Today, we’re here to review and explain the major features supported by Milestone 2. Please note that these are only the major features which are observable by a user’s eye, but a huge list of other features and bug fixes are also there, merged in. The ROM took a huge leap by adding a large bunch of new devices, which are mentioned below. One of the most usable and unique feature, developed and bought by Steve Spear. AOKP Ribbons slipped in during the late nightlies, which has evolved fast enough to be regarded stable in the latest JB-MR1 Milestone 2. The aim of Ribbons is to serve its users with usability with not just tap-to-open Apps/action icons but also the toggles. These icons/toggles are setup on the lockscreen, stacked finely spaced. You don’t need to worry about the number of icons or the space, as the arrangement is such that the icons are lined and can be swiped from right to left and vice-versa. To use, just press the lock/power key, you’ll certainly have all the ribbons displayed on your lockscreen. Icons/toggles here are aligned on the notification panel while it is expanded. Elements that can be altered here are same as that of the lockscreen ribbon. Vibrate on target click: The option enables/disables vibration when an icon/toggle is pressed. To use, swipe down from the top of the status bar and press on the notification icon at the top left. Swipe ribbon resembles much of Ubuntu’s sidebar making it a lot easy for lazy users like me. You can just put a large number of apps in it, so no more pressing the drawer button and swiping left and right to find your favourite app. Just place it in the swipe ribbon and access easily. Quite a long list of modifications, huh? That is really awesome! To use, gently swipe from the left, right or bottom of the screen respectively, the swipe ribbon will appear for you to scroll and select your app. Note: Bottom swipe will only work if the on-screen buttons are permanently disabled or hidden. Privacy and security are quite essential aspects of Android. It might itself be open-sourced but yet it provides the best sense of security. AOKP adds a bunch more to this, it adds Permission Management tool. While we install an app, we do go through the permissions that it will acquire but our stock Android doesn’t help us to amend those permissions selectively. AOKP’s Permission Management helps its user to manage permission of each and every installed app. You can allow or deny selective permissions of any of the app installed on your device. Go to Settings > Permissions to execute the Permissions Management tool, make sure to switch it ON by tapping on the switch at the top right. The apps installed on your device shall be listed, tap on any app and the permissions required by it shall expand. You can now allow specific permission by ticking it or deny it by unticking. It is very easy-to-use and handful feature offered uniquely by AOKP. It’s a simple yet very elegant feature. What it does is, change the entire color scheme of your Android device from stock holo to a much more dark (black) pattern. It could be easily enabled/disabled by going to Settings and switching ON/OFF the on-screen button corresponding to Dark AOKP. mGerrit is an automated AOKP app/tool to view real-time gerrit code reviews directly on your Android device. The App is merged into AOKP ROMs, if you’re using any other ROM, you can still install it from the app box below. You can find code reviews for specific repositories too, just tap on the lined icon on the top-right of mGerrit and select your desired repo. The Review tab contains all the code reviews made at the AOKP gerrit, irrespective of their adaption or rejection. The Merged tab holds the list of the all the code reviews which are accepted and merged to the source code at Github. Indeed the function comes in extremely handy when you desperately need a torch around you. You now don’t need to hassle yourself by going to download a 3rd party app or use toggles. HDR or High-Dynamic-Range mode is a set of method used in photography to capture a greater dynamic range between the lighter and darker areas of an image. 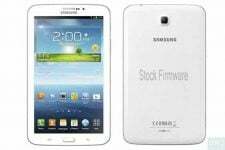 This function is a bliss for those who use their Android devices as daily Camera to present amazing shots. This mode is supported in almost all the custom ROMs and so now AOKP also has it. It can be enabled simply in the settings of the Camera app of your device. Please note that HDR mode is not supported on all device, some might as well not support it. Custom Toggles come in very useful every time, you don’t need to tap here and there to reach a function to enable/disable it. Thanks to our genius developers, we have it just in our hands. There is already a long list of toggles embedded in Custom ROMs but AOKP adds a few more to the list. New toggles include Custom, Stay Awake, Reboot, Sleep etc. The so-much popular app for users to manage root permissions is here embedded in this very ROM, by the worthy developer Koushik Dutta (Former of ClockworkMod and ROM Manager). 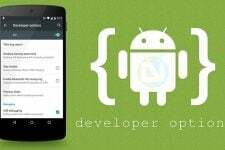 We’ve always had the Superuser app on our App drawer until Koush implemented his very own superuser app, which can not just be downloaded, but can also be merged into the ROM. You can Allow/Deny root permissions to apps, enable logs, notifications and perform every other action. Well, I am myself a huge fan of AOKP since the beginning. Reminding myself of the days of my first Android (LG Optimus One P500), when ICS was out and ported and so came AOKP, it was the only ROM to which I stuck for the longest period; 3 months. Been around 2 years now, when I migrated from Desire Z to Nexus S and now finally to the Nexus 4 and I still prefer the same and the best. Being an old user, I have felt this ROM has evolved to where it stands now, offering an elegant interface, high-performance and extreme stability to be used as a daily driver, serving you with all the essential custom features. The release tag (Milestone) speaks for itself, so if you’re someone who seek features and stability at one place, I can assure that you won’t ever look back, but then again its my own opinion and shall vary from person-to-person. Visit the AOKP Website for News, Changelogs, Updates, Addons and much more! Whatever happened to the ‘Performance Control’ section in AOKP ROM Control? When/Why was this taken out do you know? got doubt here. i am suding sgs3 intl and what gapps that i need?it got a whole long list and i am confused. Download the latest version for Jelly Bean 4.2.2. Thanks..btw nice and helping article..